This recipe is a follow up from one of my earlier recipe for the Thai Fish Cake. 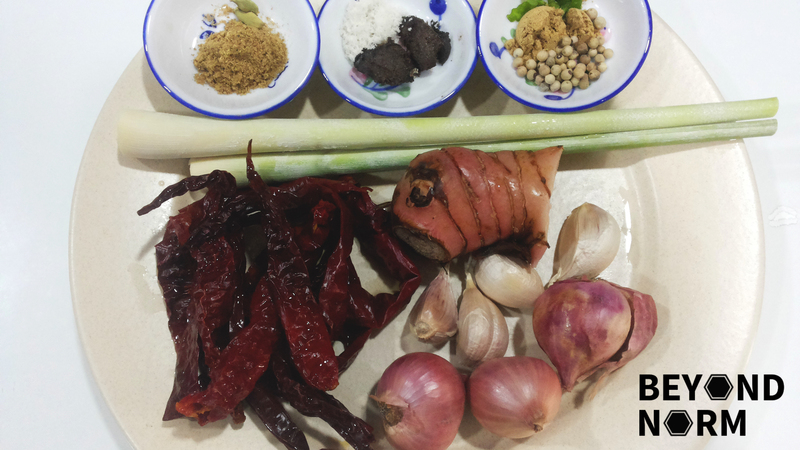 I am very delighted that some of our readers have requested that I share the Thai Red Curry Paste recipe. I know, I know… It is hard work but I believe it is worth the effort. The best part is, you can always make more and freeze them for future use! Curry paste is one of the most essential components in Thai cuisine. They are used as a base to make dishes like fish cake, soup, curries and many more. You can easily get a bottle of Thai red curry paste in most of the supermarkets if you are not bothered by the difference in taste. I love homemade stuff as I can control the quantity and quality of the ingredients. Seriously, none of the store bought curry pastes can compare to the flavourful homemade one which is made out of fresh ingredients. I have made this red curry paste many times and I still love making them as they taste so good!! If you like our recipes, we hope that you could provide us with some feedback/comments via our blog. We would also like to welcome you to join our Mummy’s Kitchen Facebook Group for food lovers like you newbies or veterans. You can like us on Beyond Norm’s Facebook Page or subscribe to our blog via the right side bar to get the latest updates. Soak chillies in water till soft. Drain them and cut them into about 1 cm pieces and set aside. Peel garlic and shallots and slice them into small pieces and set aside. Slice the lemongrass into small pieces and set aside. Peel the outer skin of the galangal, slice it into smaller pieces and set aside. Wash the coriander roots well then chop finely and set aside. Grind the peppercorns and the 2 cardamom pods into powder and set it aside with the coriander and cumin. Delicately slice off the green skin of the kaffir lime only and cut off any of the white pith. When using the mortar and pestle to ground the ingredients, ensure that you do not pound them straight down into the center of the mortar; otherwise the ingredients might bounce back to you. Pound the ingredients into the side, near the deepest spot at an angle. Add dried cut chilies and slightly more than ½ teaspoon salt. Pound until the chillies are nicely broken (including the seeds if you are adding them) and it looks almost like tomato paste. Add the lemongrass and galangal into the mortar. Pound them until they are beyond recognition. Add the garlic, kaffir lime zest and cilantro roots. Again pound until they are beyond recognition. Add shrimp paste and mix well. Add additional salt if it is not salty enough. Alternatively if you do not have a mortar and pestle or are hard press for time, you can use a blender /food processor. I would stress that you use as little water as possible when blending so that the taste of the curry paste is sustained. However, this method will never beat the mortar and pestle technique. Combine all the ingredients into a blender and add some water and 2 tablespoons of vegetable oil. 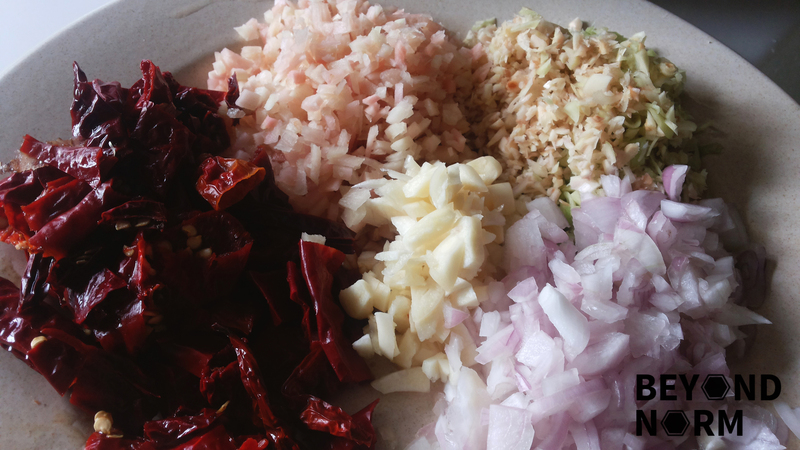 I kept the seeds of the chillies as we prefer the spiciness. If you prefer a less spicy paste then you can remove some of the seeds or all the seeds depending on what level of spiciness you love. When preparing the coriander roots, use the root and about 1 inch of the stem portion attached to each root. In countries where the roots are often not available; substitute stems for roots. 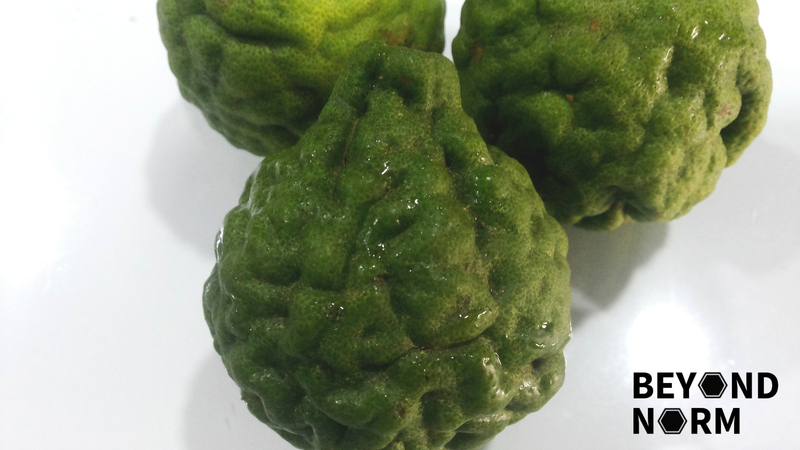 Kaffir lime is usually not easy to find and I bought them from the Thai supermarket. Kaffir lime zest has a distinct scent and flavor and regular western limes are an ineffective substitute. As a cheat, when I really have difficulties finding kaffir lime, I will still substitute kaffir lime zest with a normal lime zest. Salt is added to act as a preservative. Remember that you already have salt in your paste so when you use it ensure that you do not add too much salt in your dish. Freeze them into small portions for later use. They can be kept for up to a year. Hi! My name is Josephine Go. I blog at BeyondNorm.com in a segment called Mummy’s Kitchen. I love to use fresh and natural ingredients in my cooking to promote healthy eating. Some of my recipes may not be in line with the traditional methods of cooking to the extent that some of the ingredients are different, but hopefully new recipes are being created in my style. I certainly hope that what I do will help guide kitchen first-timers on how to cook their first meal as well as further equip kitchen veterans with new recipes. My loving husband and two wonderful children are my best guinea pigs and critics. They have enjoyed (or endured) the food that has been served to them for all these years. Mind you, I did not know how to cook or ever knew that I could cook till I got married. So there is hope for everyone. If I can cook, you can cook. You will not know how good or talented you are until you put your hand in the plough. 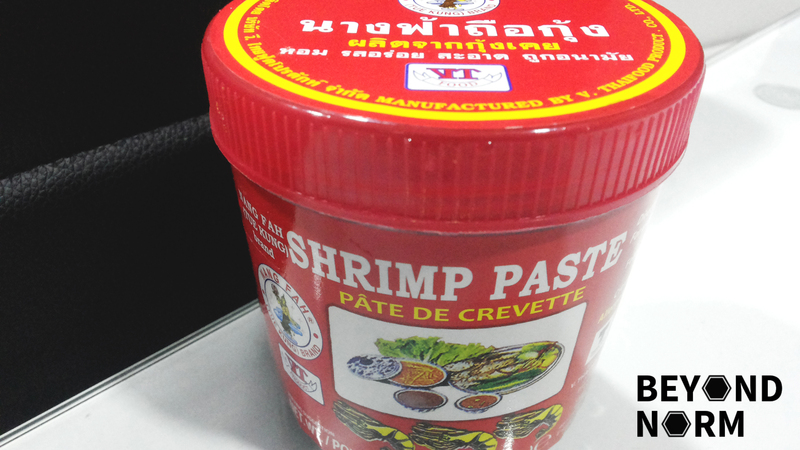 Mat I know the Thai shrimp paste is it same as “har kou” (in cantonese)? The sauce that we use for rojak? Hi and thank you for sharing this recipe. May I please know what is meant by coriander root? Is it just the stalks and not the leaves? We buy coriander in bunches here. It is just the stalks with the leaves. Also, if it is the stalk, only 2? That is a tiny amount. Sorry for the late reply. The coriander roots would be the base area of the stalks with the roots attached to it. So the coriander roots will be the part that the bunch of coriander grows out from. Two will be sufficient as the coriander roots holds the majority of the flavour! 🙂 Hope this helps! One more thing, it only says 1/2 cumin powder. 1/2 Tsp, Tbsp,…?